Alex Hernandez Law: Contact Us Now For Legal Advice About Your Case! Knowing the local and state laws concerning your family pet are important to your pet’s and the community’s safety. Staying up to date on vaccinations and ordinances will keep your dog or cat healthy and ensure that everyone is protected around your animal. Being a pet owner requires a lot of responsibility and dedication to your dog or cat. Walking your dog or allowing your cat outside may seem like second nature, but if he or she is sick or not properly vaccinated, it can reflect poorly on you and even cause another pet to become ill. Keep your neighborhood and pets safe by staying in the know about local ordinances and state laws concerning companion animals. This will protect both you and your pet from the potential of legal action being brought against you or you or your companion animal being harmed by a sick or unvaccinated animal. In this blog, we’ll discuss some important companion animal laws to know and remember in the state of Texas. We’ll also discuss an animal case that our lawyer Alex Hernandez was recently involved in and gained a favorable outcome. The Law Offices of Alex R. Hernandez Jr., PLLC are dedicated to helping our clients attain the justice they need and deserve. We understand how legal troubles can be overwhelming, and we’re here to help offer compassion, legal advice, and excellence. Feel free to contact us today for help in Victoria and Corpus Christi, Texas locations. We want to take on your case! It’s required in the state of Texas to have your dog or cat vaccinated for rabies once a year under the Texas Rabid Control Act. This begins once the animal is above four months of age, and you have to be able to provide evidence that this vaccination was performed by a licensed veterinarian. You also must obtain a county rabies tag and pay a registration fee. Your pet doesn’t necessarily have to wear the tag indoors, but if your dog or cat enjoys roaming outside, it’s important to affix it to his or her collar so a concerned citizen or law officer can know for sure that the animal is vaccinated at a glance. If your companion animal gets lost or injured, the individual rabies tag identification number will help him or her to make it home to you, and he or she will be treated for injuries by a vet. If your pet is indoor-only, keep the tag in a safe place that you can access in case you are asked about your pet’s vaccinations. If you happen to take your pet out of state, make sure he or she is up to date on vaccinations and take the certifications with you in case you’re asked to provide evidence. Also, if your pet happens to bite someone or another animal, you’re required to report it to local law enforcement or an animal control agency. Even if your dog or cat is properly vaccinated, it’s still important to alert the authorities to alleviate any finger-pointing or legal issues that could arise following the incident. Failure to adhere to any of these laws can result in a Class C misdemeanor with up to a $300 fine. If you have a dog, you probably know and understand leash laws. Leash laws require owners to always have their dogs restrained when in public places. This doesn’t apply to dog parks or residential fenced backyards. While there is no Texas state law enforcing leash laws in all public areas, there are city and town-specific laws, so it’s important to check out your local leash laws so that you won’t make a mistake that could cost you or hurt your companion animal. In Corpus Christi, the animal control unit is a division of the Corpus Christi Police Department and under the direction of the Project Manager. The city has enforced an animal care and control ordinance which allows certain city officials as well as police to inspect areas and premises where pets are kept. You can read more about the local laws, animal control, and other important information on the Corpus Christi animal services website. Victoria, Texas has a few different laws when compared to Corpus Christi. All animal services are handled by the Victoria County Animal Control. Animals bites are required to be reported to animal control within 24 hours. If a dog is loudly barking, whining, or causing a noise disturbance, it is considered an illegal noise offense. You can read more about animal ordinances in Victoria, Texas and research important information on the Victoria County Animal Services website. Everyone has had an experience with a whining or barking dog keeping the entire neighborhood awake at 2 AM. It can cause anger and frustration, especially if you have an early start to your day or small children who can’t sleep due to the noise. Maybe you’ve called the authorities and allowed them to take care of the noise, pulled your pillow over your head and gone back to sleep, or left a mean note in the neighbor’s mailbox. Whether or not a howling canine bothers you, it is a noise disturbance and can end up costing you. It’s important to note that if you do leave your puppy or dog outside for more than an hour, make sure he or she has plenty of food and water. Also, double-check that your companion animal has a safe shelter in case of rain, wind, or hot sun. Unfortunately, you can’t make your dog stay quiet, especially if there are other canines nearby. The best way to ensure that your dog isn’t the cause of many sleepless nights for those living close by is to bring him or her inside before 10 PM (usually the time that noise ordinances go into effect), only allow your pet outside for a certain amount of time, and spend time walking him or her for exercise rather than only leaving your dog outside. If you don’t live in an area that is conducive to dog-walking, find a local dog park so your beloved pooch can run and exercise with other dogs. This will also allow him or her to enjoy socializing with other dogs so the backyard won’t be a zone for barking at the neighbor’s animals. Review the noise ordinance laws in your city so you’re up to date on everything concerning your dog’s barking. Your neighbors will definitely appreciate it. Buyers mean keepers. If your dog came along with you when you married your spouse, usually you will get to keep him or her after the marriage is ended. You will be required to absorb half of the cost of all medical expenses, food costs, and other equipment that go along with the dog, so be prepared to pay up if you keep your canine. Care is important. Just like a child, a court will want to make sure that the animal is going to a home where the dog or cat is being cared for and loved. If you want to keep the pet with you, you’ll have to provide evidence of walking, vet visits, play time, etc. Consider sharing. This is especially important if you have multiple pets that are close to each other. Don’t separate your animals without them being able to see their “siblings”. If you’re comfortable, set up weekly times for your pets to play with each other to help the transition go more smoothly and alleviate loneliness. If you’re going through a divorce and find that there are issues concerning your pets, contact a trusted lawyer for legal advice. Divorce is never easy, but receiving legal advice from a sympathetic and compassionate lawyer will allow you to understand your options. If you’re in the Victoria or Corpus Christi area and looking for a lawyer, call The Law Offices of Alex R. Hernandez Jr., PLLC. We’re here to handle your case with kindness and understanding. Recently, Alex Hernandez of The Law Offices of Alex R. Hernandez Jr., PLLC was a part of a animal cruelty acquittal. A former police officer was accused of feeding two dogs a mixture of gopher bait and ground meat on his property, thus causing the dog’s death on July 8, 2014. After he was indicted on the charge, Russell Ryan Ritcher was fired from his law enforcement job. After deliberation and investigation of the evidence, Ritcher was found to be not guilty by a jury. He hasn’t returned to his law enforcement job but would like to go back to it, if possible. He was approved to keep his peace officer’s medal since he was acquitted of the crime. Alex Hernandez, who represented Ritcher in the case, mentioned that there were too many strays in the area and a change needs to happen concerning this issue. The Victoria Advocate has more information surrounding this case on its website. 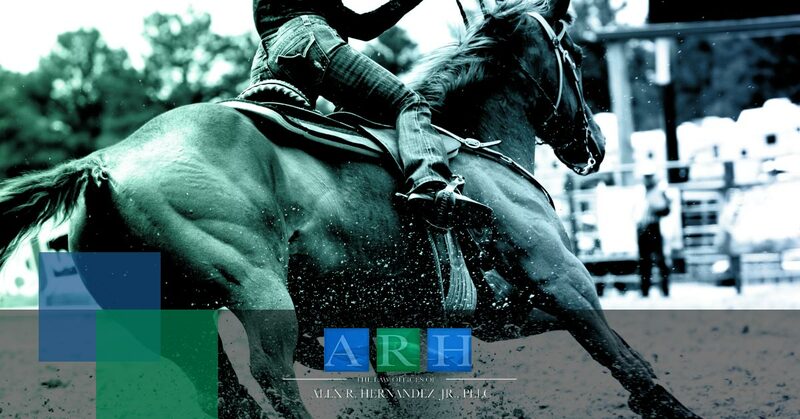 Alex Hernandez is dedicated to the success of his clients and is passionate about the pursuit of justice. Both Hernandez and his colleagues at The Law Offices of Alex R. Hernandez Jr., PLLC are committed to their clients and are proud to offer legal advice and representation in both Corpus Christi and Victoria, Texas. When you choose to adopt a pet, it’s a serious commitment that can last for decades. The companionship of a dog or cat can be one of life’s greatest joys, but it does require being in the know and understanding how to protect and give your pet the life he or she deserves. If you’re planning to adopt a pet, read up on the laws in your county, town, city, or state so you’re well informed before it’s too late. Alert your family and friends to any law or ordinance changes if they have pets, and talk to your veterinarian about how to provide the best care for your furry friend. If you’re passionate about animal welfare, volunteer at your local animal shelter or make a monthly donation to animal rescues, especially if they’re non-profit or crowdfunded. If you find yourself in need of legal representation for your pet due to familial issues or are experiencing an issue with another individual and his or her pet, contact The Law Offices of Alex R. Hernandez Jr., PLLC. We’re happy to provide legal advice and representation for pet owners. If you’re in Victoria, Corpus Christi, or the surrounding area, give us a call today. We want to help you achieve justice for your case!